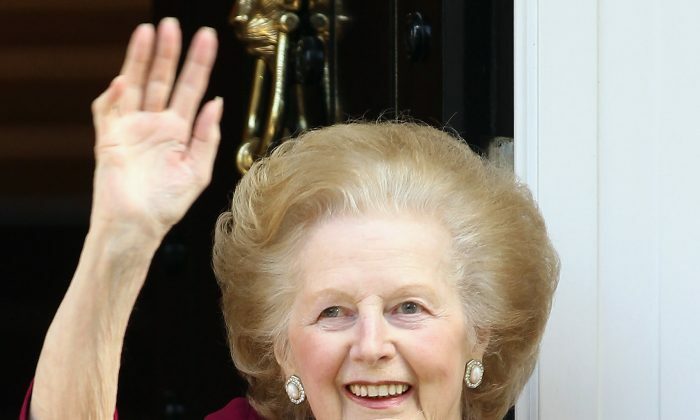 Former British Prime Minister Margaret Thatcher died Monday morning at the age of 87. The Guardian posted a statement from Liberal Democrat leader Nick Clegg: “Margaret Thatcher was one of the defining figures in modern British politics. “Whatever side of the political debate you stand on, no one can deny that as prime minister she left a unique and lasting imprint on the country she served. Queen Elizabeth II will be sending private condolences to Thatcher’s family, according to the Associated Press (AP). Prime Minister David Cameron said, “We have lost a great leader, a great prime minister and a great Briton,” reports AP. Thatcher was prime minister from 1979 to 1990. She was Britain’s first female prime minister. She introduced economic reforms including the sale of state industries, reducing trade union power, and scaling back social welfare programs. Having ruled for three terms, she stepped down in 1991 after some of her policies proved unpopular and due to internal power struggles in her party.